This month’s Tales will be coming from renaissance artist, Mr. Les McCann. Les McCann, legendary musician, artist-renaissance man. He is most known for being a pianists, vocalist and composer, but not a lot of people know that he is also a painter and a published photographer. There is a LOT of information out there about this innovator and pioneer of music evolution. And if you are one of the numbers that don’t know much about this prodigious musician, then you need to get busy and find out. Why? I don’t need to tell you….. you just need to listen, but just in case you’re still in a fog, here is a little piece for you. All that is contemporary jazz, neo soul, neo jazz, etc. today, is because of the creative vision and execution of that vision , by this man, Mr. Les McCann. This episode is a little different in that it isn’t quite in the format I’m accustomed to when conducting an interview with an artist. My objective is to get the information directly from the source and clear up some of the things that are floating around. In this case, I had to go with the flow. And that flow was at times, a stream of consciousness that took us to view and discuss some universal truths. Mr. McCann, feels that the past was the past and whatever is written about you is important, but not as important as what is happening now, all that matters is the now. My view is that the past and future was and will be at some point the now, how we reflect on the past and what we hope for the future, influences greatly our actions in the now. Through this kind of awareness we are able through the stories of others, to find a common ground of our humanity and realize that despite the illusion we are all one. This is what fuels my passion for moving beyond the surface to the origin, not wanting to get it second hand, whether truth or confusion, and is one of the reasons I began this podcast series. This was an expansive/ broadening experience for me and a skillful lesson about life, doing what you love, overcoming fear, being yourself, loving yourself……. I trust you will experience the interview of this immensely talented, unique, one of a kind human being, in a way that will inspire and bring new insight to your life. Print of original #707 – size is 14″ x 18″ – sizes of paintings, prints, and white areas vary slightly. The original paintings are done on paper, and will be matted for you, but not framed. All paintings are signed by the artist — Les McCann. All paintings are originals. Paintings and prints sold outside of the continental US will require additional shipping fees. Les McCann retains the copyright on all of his artwork. Reproduction of his art in any form is strictly prohibited, and punishable by law. View Mr. McCann’s other works here. A fabulous collection of the photographs of legendary musician Les McCann; documentation of the the jazz scene and its players-Nina Simone, John Coltrane, Count Basie, and many others-from the inside, across several decades. Throughout Les McCann’s incredible jazz career, he took hundreds of photos-at clubs, studios, and festivals around the world-and documented the vibrant cultural life of jazz and soul between 1960 and 1980. These photos include a very young Stevie Wonder, Nina Simone, Sammy Davis Jr., John Coltrane, Aretha Franklin, Nancy Wilson, Richard Pryor, Quincy Jones, Tina Turner, Miles Davis, Cannonball Adderly, Louis Armstrong, Count Basie, B.B. King, Errol Garner, Stanley Clarke, Bill Evans, Lionel Hampton, and other black celebrities, such as Bill Cosby, Muhammed Ali, and Stokely Carmichael to name but a few. These photos are characterized by their intimacy, and the cross-section of names listed is merely the tip of the iceberg. The book features candid commentary by McCann himself and is curated by Pat Thomas (Listen, Whitey! : The Sights and Sounds of Black Power 1965-1975) and maverick music producer Alan Abrahams (Pure Prairie League, Joan Baez, Stanley Turrentine, Kris Kristofferson, Taj Mahal). Black & white. During our interview, we spoke briefly on his Ed Sullivan Show appearance. It was season 8. It aired on August 26, 1956 – Show title: US Navy Talent Show. Kirk Douglas, the actor, was the substitute host while Ed was recovering from an auto accident. Born in 1935 in Lexington, Kentucky, Les is a self-taught musician (other than the four piano lessons he took as a youth from a nice old lady who lived in the neighborhood). In the early fifties, he left the South and joined the Navy. While stationed in California, he took every opportunity to visit San Francisco’s jazz clubs, where he first experienced Miles Davis and his music. His first major influence though, was pianist Erroll Garner, who shared the same exuberance and bursting vocalizations. After his discharge from the military, McCann moved to Los Angeles and formed a trio, Les McCann Ltd., which became a favorite on the Sun Strip in the late fifties. Always fueled by his renegade spirit, Les McCann was recommended by Miles Davis to play with Cannonball Adderly, but turned it down in order to form his own band. In 1960, McCann was signed to the L.A.-based Pacific Jazz label owned by producer Nick Venet, who recognized Les signature soul groove style that mothered an entire movement of back-to-the-roots jazz. McCann became the label’s top-selling artist, debuting with Plays the Truth (1960). He also co-headed albums with legendary labelmates such as organist Richard “Groove” Holmes, saxman Ben Webster, The Jazz Crusaders and the Gerald Wilson Orchestra. Les is best known for his work in the late 60s and early 70s with partner/saxman Eddie Harris, whom he first encountered at the Montreux Jazz Festival. The resulting album, Swiss Movement (1960), was a top selling jazz record, and the single “Compared to What” sold platinum. The same year, Much Les, without Harris, hit hard with the ballad “With These Hands.” Second Movement (1971), reunited McCann and Harris, and acclaimed recordings such as Invitation to Openness (1972), the double-record Live at Montreux (1973), and Layers (1973) followed. The latter was a revolutionary, improvisational experiment that included 15 musicians and one 27-minute song. 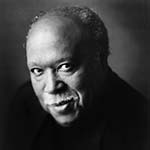 Les McCann helped pioneer the use of electric piano, clavinet, and synthesizer, starting with this work which was one of the earliest electronic jazz albums. The early eighties saw the creation of McCann’s Magic Band, which has recorded a number of independently-released albums and featured Jeff Elliott, Keith Anderson, Tony St. James, and Abraham Laboriel. His last release, On the Soul Side (MusicMasters 1994), featured his Magic Band and once again reunited him with Eddie Harris and Lou Rawls. Rhino/Atlantic has recently re-released Swiss Movement, featuring a new track and some new arrangements. Less is perpetually known as a grooveman, and as a result, over the last few years, his music has been sampled by the hottest hip hop and jazz artists out there. For example, the latest smash hit “Right Back At You” (BMG/Loud Records) by hip hop artists Mobb Deep, samples Les’ legendary tune “Benjamin.” Other popular artists, such as De La Soul, Lords of the Underground, and Pete Rock and C.L. Smooth, have also had hits with Les McCann samples. His music will undoubtedly stand the test of time, as his ingenuity and artistry can be appreciated by anyone. As if a lifetime of musical success is not enough, Les’ creations go beyond the keys. His personal relationships with jazz legends such as Miles Davis, Art Blakey, and Duke Ellington as well as many other great historical characters, have been documented in a collection of more than 8000 photographs that Les has taken over the years. As a serious photographer, Les has built a darkroom in his home, and has sold a significant number of pieces. A large exhibition of his work will be exhibited at this year’s Montreux Jazz Festival, reproduced by Graham Nash (Nash Editions). 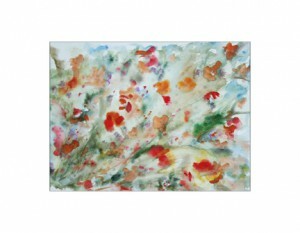 In addition, Les is an exhibited painter, primarily a watercolorist with a particular interest in flowers. His work is hanging in two galleries, in Scottsdale, AZ, and Santa Barbara, CA, as well as in his home, where he entertains private showings. After the stroke, Les has become remarkably prolific, discovering that painting and maneuvering the camera are both therapeutic and strengthening. Les’ expression as a visual artist communicates similar vibes of freshness, experimentation, and peace as does his music. In 1997 Les teamed up with Joja Wendt, Europe’s hottest pianist, resulting in the outstanding recording Pacifique. In 1998, 32 jazz released “How’s your Mother?” a classic live performance recorded at the Village Vanguard in 1967. Thanks go to Les McCann, who is the angel in all of our lives. This entry was posted in Podcast and tagged Atlantic Records, Charlie Byrd, clavinet, Eddie Harris, electric piano, electronic jazz, Joel Dorn, Lou Rawls, Mahalia Jackson, Nancy Wilson, Roberta Flack, Stanley Turrentine, synthesizer, Zoot Sims. Bookmark the permalink.